Dust Mites Dust Mites Dust Mites, please go away. I want to get rid of you since you had caused so many problems to my whole family. My Little Angels has asthma and allergies which are not cause by food but by you. My husband had sinus every morning which is not cause by cold but by you instead. I really really want to get rid of you from my house and from all my beds. I'm sure this is the grievance that every Mom face. How we should get rid of it ? At this post, I will share my experience on the solution that I just found it out. Do you know that 4 out of 5 in local homes have detectable levels of dust mites as well as other allergies, bacteria and viruses. 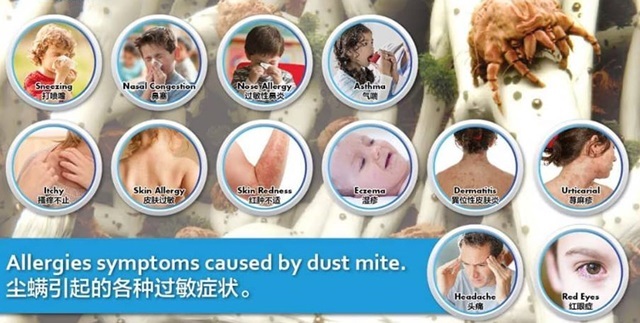 Dust mutes and its waste are one of the most common causes of allergies and asthma. They flourish in the warm, humid temperatures of our homes and feed on the tiny flakes of human skin that we normally shed each day. These flakes of skin work their way deep into the inner layers of furniture, bedding and even our children toys. 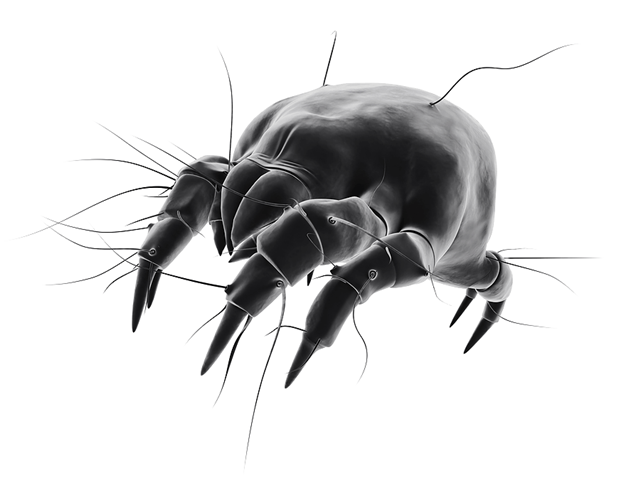 Due to their tiny size and translucent bodies, dust mites can't be seen with our naked eyes but how to get rid of it ? Mommy Jane recently used RAYCOP allergen vacuums to try it out. RAYCOP allergen vacuums had a HEPA (High-Efficiency Particular Air) filter fitted with a fine mesh to trap 99.9% of the dust mite matter, dirt, pollen and pet dander that settle on our fabric surfaces such as mattress, pillows, sofa and our children's toys. The HEPA filter traps the particles without releasing them back into the air like the exhaust of a regular vacuum does. These particles that are removed are common irritants for our family members who are susceptible to allergies or asthma. RAYCOP uses a powerful UV lamp with a wavelength calibrated to effectively eliminate over 99% of bacteria from fabric surfaces throughout our home. The UV light is electromagnetic radiation with wavelengths shorter than visible light. With the UV light, it also alters the DNA of dust mite eggs and significantly reduces egg hatch rates. RAYCOP had the combination of suction and vibration along with the UV light which is proven to eliminate 3 times more allergens than a regular vacuum. It has pulsating pads to loosen and lift particles and suction calibrated to be powerful enough to effectively remove debris and allergens from fabric surfaces yet is gentle enough to safely use on delicate fabrics without tugging or trapping the fabric. The particles also pass through a dual filtration system where larger particles are trapped in the dust box filter and microscopic particles are trapped in the HEPA filter so they can't be released back into the air. Some parents might ask me how to get rid of the particles at RAYCOP. Is it comes with disposable filter that we need to change it regularly and it might cost them a lot. The answer is RAYCOP has a washable design to ensure the dust mites and harmful particles will not cause secondary pollution in the air. The water washable dust collecting box of the device has a concentrated to the visualization of the dust box, because the purification effect can be seen. Looks at my visual below for the dust that had accumulated from the vacuum of just half of my king size bed. How to wash the filter ? It is very simple. Even my Little Angels could take out the filter from the RAYCOP, put water in it and take out the filter to brush with their special brush to ensure the cleanliness by cleaning all the dust and particles away. After the cleaning which takes less than 5 min, just put aside at the basin to dry it up before putting the filter back to the vacuum to start our vacuum again. Some parents like me before I got to know about RAYCOP where we would use the traditional bed cleaning method. Take our bed under sun exposure but Tokyo Environment Allergy Research Institute found that the remaining rate of harmful substances such as dust mite and RM2.5 after 6 hours of sun exposure was still as high as 96.2%, Some might brush or tap the mattress but the harmful substances in the mattress will immediately enter to the air, which may easily cause respiratory allergies and damage to the surface of the mattress. Some parents would use chemical cleaning but it cannot really remove other harmful substances, mites and their derivatives will still harm our health. For more information, do visit their website at https://raycop.my or facebook page at www.facebook.com/raycop.my for more promotion and updates. You could also call or whatsapp them at http://raycop.wasap.my or 012-9222260 to learn more about RAYCOP. Chinese New Year is approaching soon. Do get rid of all the termites, the dirts, the dust and the particles away. Start the new year with a clean house and a clean health. Try out RAYCOP to eliminate all the bed and fabric dust mites for our family to stay healthy. It is good to have RAYCOP at home. Its very useful and helpful. I always think how to remove the dust on mites and now I've got my answer! Raycop is the right answer! Thanks for sharing! The cutting edge of the tool heheheh we never thought to buy only every 2 weeks will change the new veil to avoid germs or lice like that ... The product is expensive not hehehe feel like there is a happy home ..
Woww that is a super cool gadget! I want that too! and yess, mites are very annoying that even we have to change our bed sheet often and wash them carefully.